With all the technology out there today it's easy to get stuck inside the house binge watching your favorite Netflix TV Show....ho-hum. But, if you're looking to spice up your weekend check out our list of 10 fun things to do in Katy, Texas this weekend. Come spend a day on the farm! Make it a day of fun for the whole family at this awesome local farm. With special events year round, you can traverse Hay Mountain explore Fort Dew Hickey. Race time; you're in a human hamster wheel, or play carnival games better yet even get lost in the corn maze! With over 40 activities to choose from your little ones will never get bored but will be plenty tired when you lay them down for a nap. Click Here for more adventure. Take a dip in the pool and even bring your toddlers to Splash Time. Bring a rod and reel and take chance at catching some fish. Or get your golf on and play a free round of miniature golf and more. This park is meant not only for barbecues but a nice getaway destination right in the neighborhood. 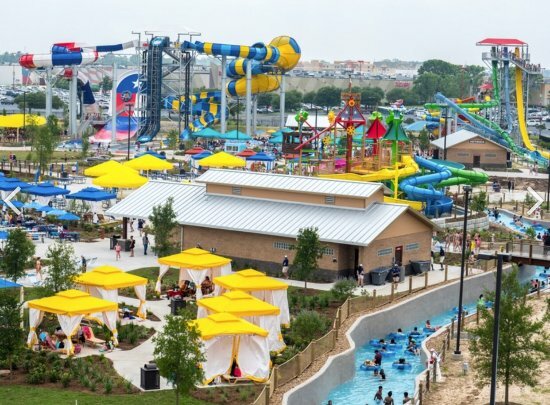 Soak up some sun during a day at this super cool water park! This park is the ideal place for a family getaway, work picnic or for a couple’s rendezvous. There are a variety of rides to choose from such as the infamous Typhoon ride and the Drop ride. Some of the main perks about this place are the excellent service and the mouth-watering food! The price is very affordable, you can choose the seasonal pass or even the annual pass. Looks like fun for all ages! Be at peace with nature by exploring Katy Park. This park is perfect for nature and animal lovers. Even your dogs will love it too! Take some time to jog on nature’s trail or take your dog for a walk or perhaps even throw him a frisbee. This park would be great for playing sports such as soccer and baseball. If you’re not into sports, then it’s perfect for a family picnic or for a time to meditate and be one with nature. Katy Park caters to everyone’s needs. Check out the park here. Spend an afternoon at the museum! Do you want to see ancient family homes? 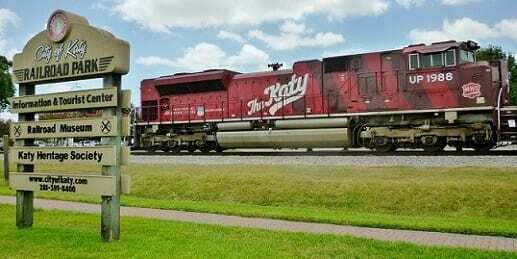 Katy Heritage Park is the perfect place to be when you visit Houston. Take a free tour and see the ‘Old Katy Town’ with its beautiful family homes and well-manicured lawns. Two highlights about this tour are The Wright House and The Featherston House. Katy Park is a great place to take photos as you bask in the history of ancient civilization. Are you fascinated by US politics and want to learn a bit more? Well, this is a free military museum focusing on the foreign conflicts in which the US has been involved in. You will get to see monuments dedicated to the US veterans that fought in various wars and have a deeper understanding of the history of America. The Liberty Tree is an important monument to see when you visit Katy VFM Museum. Katy Play Station as its name suggests a very good playground or sports field for all kinds of play. It is the perfect place for families to bring their children; as there is something for everyone. Great, for children and if you’re a kid at heart. You will find swings, tennis courts, slides, basketball courts, and baseball fields. The facility is very clean and is equipped with a friendly team who will ensure that you’re having a great time. Get your play on at Katy Play Station.